July 2017, Juba, South Sudan - To respond to the grave food security and address the alarming nutritional emergency in children, WHO has intensified its response focusing on inpatient therapeutic nutrition programs, through the distribution of essential medicines. In June 2017, WHO distributed 50 sever acute malnutrition (SAM) kits, to treat over 2 500 children suffering from SAM with medical complications. 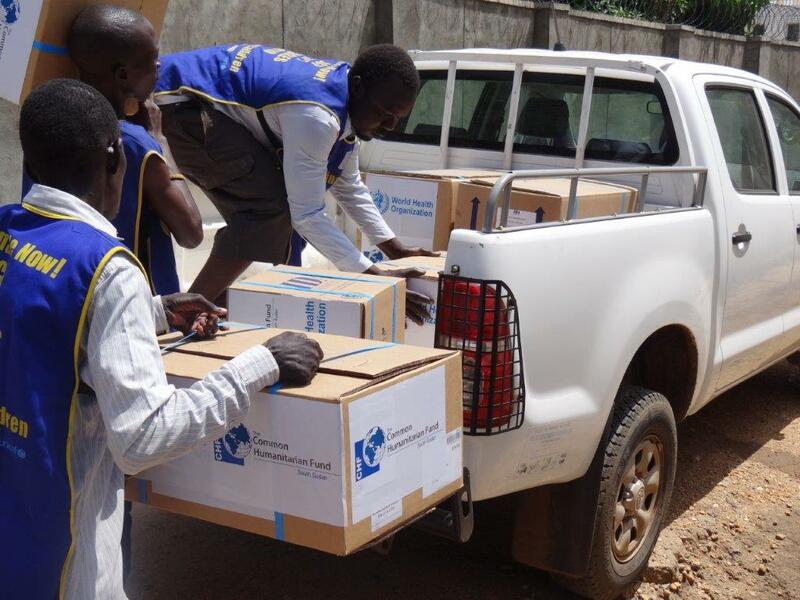 The SAM kits were dispatched to 13 hospitals, 25 primary health care centers and 2 health facillities in the Protection of Civilians (PoCs) supporting Inpatient Therapeutic Programs (ITP) in the Greater Equatoria Regions, Northern Bahr el Ghazal, Unity, Upper Nile and Jonglei and Counties with high prevalence of Global Acute Malnutrition (GAM) to provide sustainable lifesaving interventions. “Severe acute malnutrition is the most extreme and visible form of undernutrition, which exposes children to a high risk of mortality. 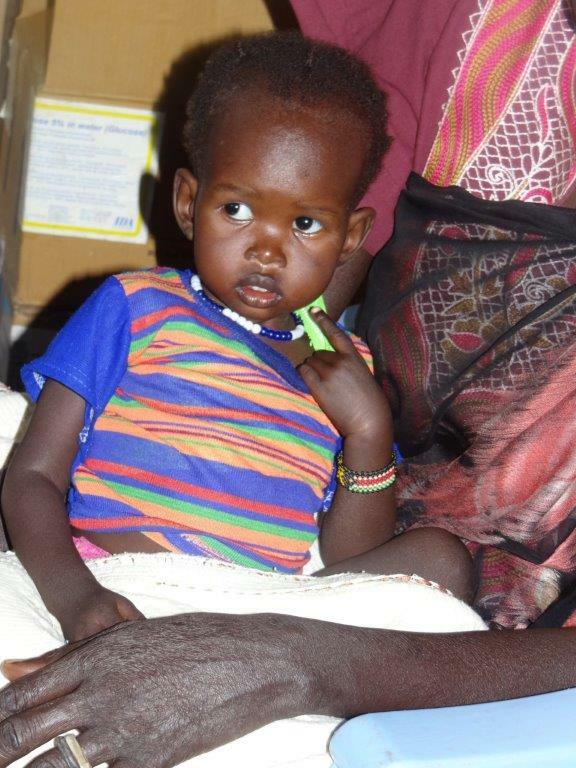 Its face is a very frail child who need immediate care.” said Ms Marina Adrianopoli, Technical Officer for Nutrition at the WHO South Sudan. Children who have medical problems and do not have an appetite need urgent treatment to survive. The provision of SAM kit is a key and innovative strategy to support stabilization centers with quality and standard set of medicines , to manage medical complications linked to SAM in children. This ensures continuum of care in the context of Community Management of Acute Malnutrition, Ms Adrianopoli added. The nutrition situation in many parts of South Sudan remains critical with a global acute malnutrition (GAM) rate above the WHO 15 per cent emergency threshold. Of greatest concern is Unity state, with central and southern Unity projected to experience extremely critical levels of acute malnutrition. As of June 2017, the number of people in need of humanitarian assistance (IPC phase 3 and above) is estimated to raise to 6 million, out of which 45 000 are facing catastrophic conditions and extreme food and nutrition insecurity, particularly in parts of Unity and Jonglei States. WHO's SAM kit is designed for the management of medical complications from severe malnutrition for 50 children for around 3 months. The kit meant to be used by trained health workers in health facilities, contains medicines including antibiotics, antimalarials, treatment for diarrhoea, diagnostic kits for diseases like malaria, and supplies including thermometers, gloves and syringes. South Sudan has been the first country in the world to introduce the use of the kit. “SAM kits were provided thanks to funding from the South Sudan Common Humanitarian Fund (CHF) and Central Emergency Response Fund (CERF)” said Dr Abdulmumini Usman, WHO Representative to South Sudan. “SAM is a life threatening condition and requires urgent medical treatment to save the child’s life. The provision of appropriate and cost effective SAM kits in conjunction with therapeutic food is vital to manage complications caused due to severe malnutrition.” Dr Usman underscored. WHO will continue to work with the Ministry of Health and partners to improve the health and wellbeing of the population, especialy children with sever acute malnutrion.